Oven-Busters carry out full oven cleaning on all ovens including, Single, Double, Rangemasters and even AGA’s along with cleaning the hobs. 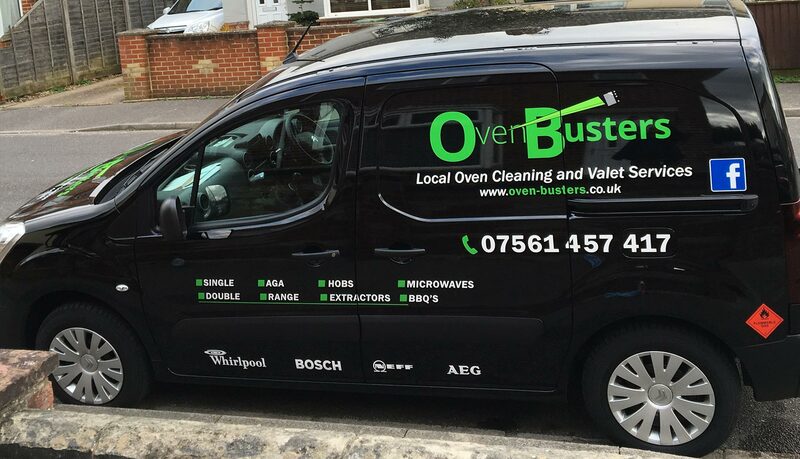 Here at Oven-Busters we are proud of every clean we carry out, meaning each time we visit we try to provide an even better service than our previous customer. We understand the needs and requirements of your oven meaning we only use eco-friend, fume free products that not only clean your oven to the highest standard when coupled with our training, but also leave your oven in an instantly usable condition once we leave! When it comes to cleaning we have to make sure when we leave your property that no dirt is left standing meaning Oven-Busters have fully qualified and trained staff to deal with all cleaning situations thrown at us. All our staff are taken on a 5 day training course with practical and theory tests throughout to make sure they’re ready to provide the Oven-Busters standard of cleaning. All staff are kitted out with the most update cleaning technology along with an Oven-Buster van with a heated, large capacity, oven cleaning dip tank, specifically designed to clean all grills, trays, glass panels and BBQ grills. These tanks eliminate or loosen all dirt sitting on the items before our trained technician starts to clean! !